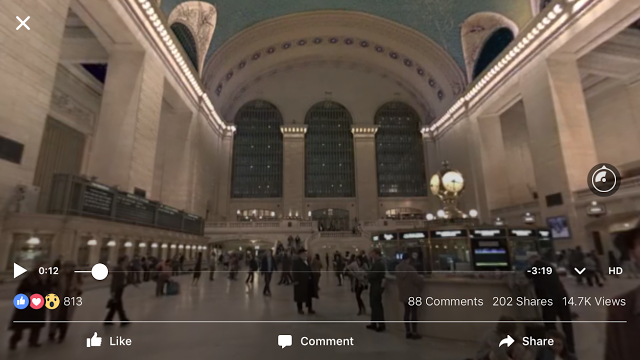 Facebook posted a 360 video sample from their Surround 360 camera rig. It’s a scene from New York’s Grand Central station. Check it out! Or you can see it in full 3D in the Oculus Video app.